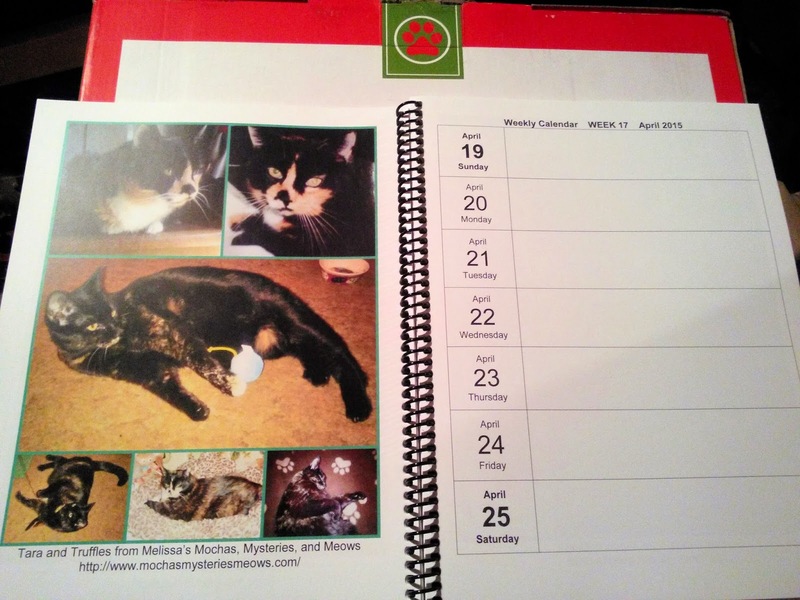 Week 1's prompt is "New", so I'm featuring my "new" 2015 Cat Blogosphere weekly planner for the "new" year which was put together by Paula of Sweet Purrfections. (It's still available for purchase at Lulu.com and features many of your favorite blogging kitties.) 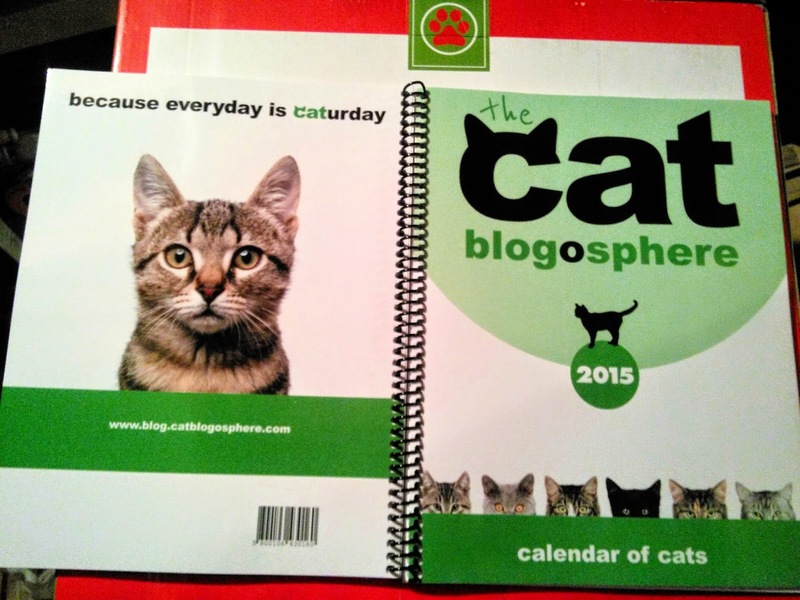 It's the purr-fect size to be my blog editorial calendar for the year. This is Truffles' first year to be featured in a collage with Angel Tara. I LOVE your planner! I learned long ago that if I customize a planner for myself, I'm much more likely to use it. This is really awesome! ...and Truffles, you and Miss Tara are SO beautiful in the new CB planner! We're so excited to start using it. I just got one of those planners! My husband got it for me for Christmas. LOVE it! I'll be using it as an editorial calendar for the blog as well. Enjoy! The mom can't wait to start using her planner. It's so nice! This sounds like fun! I love the photos of Tara and Truffles. Love what you chose for the theme. That looks like a great planner. I wish I was organized enough to actually use one. Love it! Looks like a fun challenge! That is an awesome new!! I’m gonna post mine tomorrow. I’m wondering if I need the hashtags in the title because in the past when I’ve had hashtags for Blogpaws it turns some of my regular readers off. Love the Planner and that Truffles and Tara have a page feature! Happy New Year! That's way cute. Nothing like a shiny new planner. What a great planner! Thanks for sharing. Love that I'm discovering new blogs and "meeting" fellow bloggers fur kids, along the way. 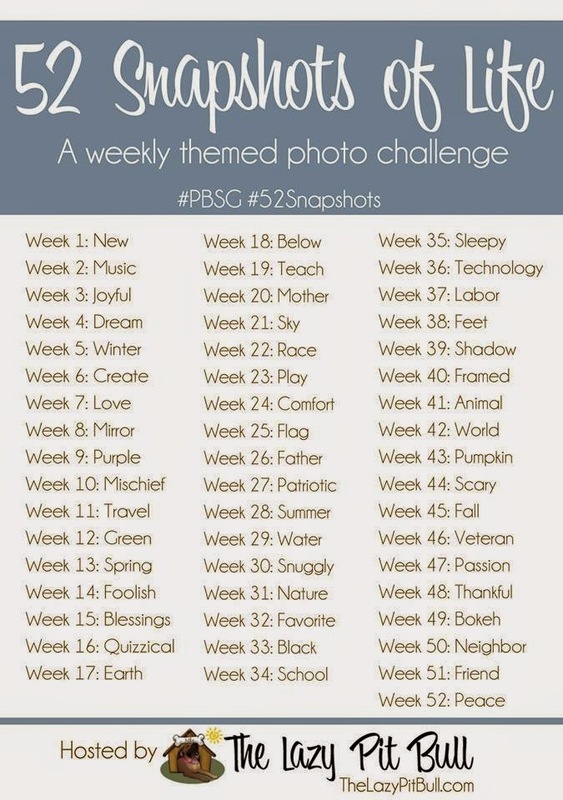 Thanks, Christina, for launching the #52Snapshots of Life challenge! New planners are so much fun to fill up!